Get the edge over your opponents and slip your feet into the Nike Air Vapor Advantage! 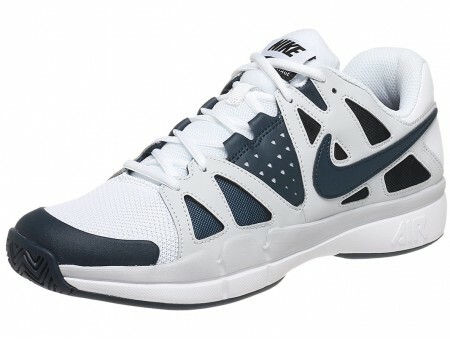 It takes its stylings from the shoe that Roger Federer has made so popular, the Vapor 9 Tour. This more affordable version offers ultra soft cushioning all through the shoe, from Nike's signature Air cushioning in the heel to the plush pillowy feel in the tongue and forefoot. The Vapor Advantage also features a wider fit, making it ideal for avid club players looking for a little bit more room through the toebox. Fit: Length fits true to size. Width is wide. Arch support is low. No break-in required. Upper: Lightweight synthetic materials for a comfortable and stable fit. 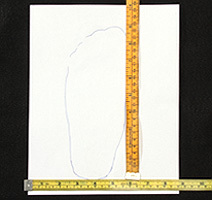 Midsole: Full-length Phylon midsole with an encapsulated Nike Air unit in the heel. Outsole: XDR rubber compound in a modified herringbone pattern for great traction and durability on all surfaces. A mid-foot shank helps to increase stability.